Usually when my toddler is unwilling to eat something (like chicken) or I feel I need to add a little pizazz to something on her plate (like deli meat) I will simply add some hummus to it and MOST of the time this will do the trick. I stress “most” of the time because, like any toddler, they will either eat everything you give them and ask for more, more, more or they will kindly feed the dogs whatever is on their tray. Hummus is one of the only consistent things Scottie will eat so as you can imagine we go through our fair share in this house. When I saw this recipe for White Bean and Pumpkin Hummus in the Cooking Light Magazine I knew I needed to give it a try with its fall inspired twist. 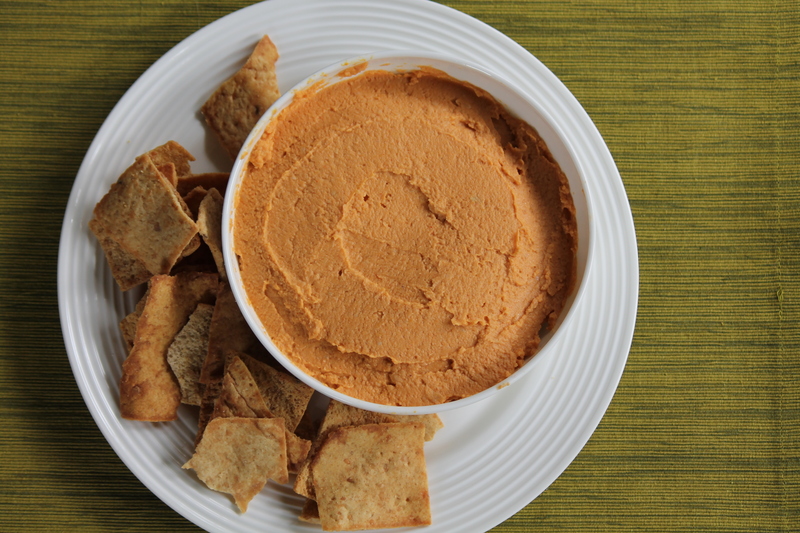 This hummus is the perfect appetizer for any fall gathering. It’s also a healthy snack to keep around the house, which is especially nice this time of year as all the stores are full of ALL.THE.CANDY. Place pumpkin puree and remaining ingredients in a food processor; process until smooth. Serve hummus with pita chips. 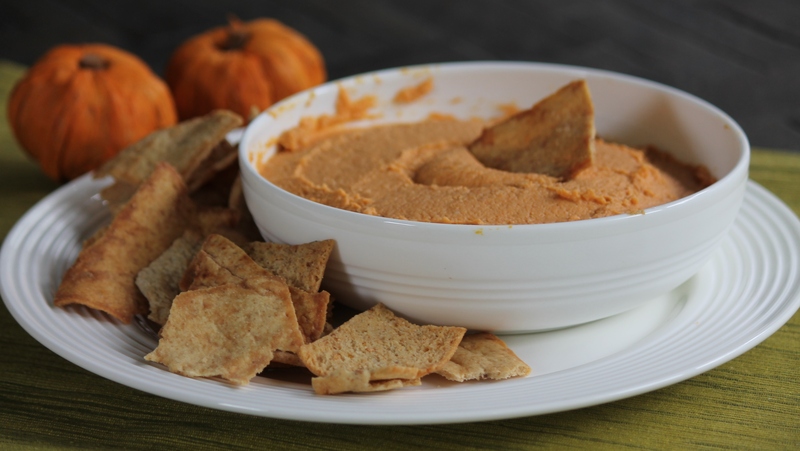 Love the idea of pumpkin in hummus especially for Halloween!